The Lumberjack is the latest addition to the legendary cards collection in Clash Royale. 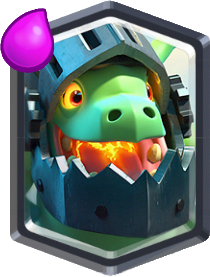 It is a troop card that drops Rage spell in the area when it dies. 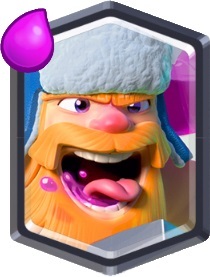 Compared to similar cards that has an effect when killed (Golem and Lava Hound that splits into weaker troop, Balloon and Giant Skeleton that drops damaging bomb), the Lumberjack is the first troop that affects allies’ stats when killed. This card is simply unique, amazing and extremely fun to play. 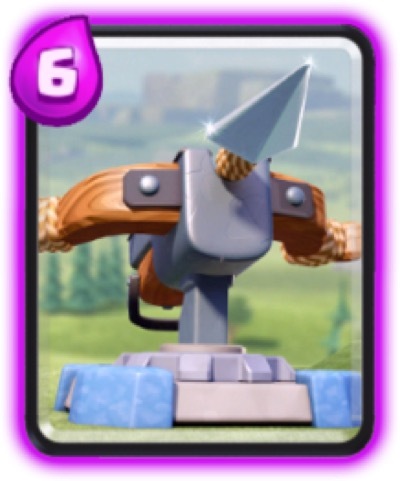 The Lumberjack is a Legendary card that costs 4 elixir and obtainable in Frozen Peak (Arena 8). He is a melee troop with strong damage and good hit points, similarly like a Knight with stronger damage but less hp. He somehow resembles a Barbarian appearance but with a bottle of rage, cap, an axe and a yellow/golden beard. When you deploy him, you’ll see him drinking the rage spell. According to his Clash Royale description, “He chops trees by day and hunts The Log by night. His bottle of Rage spills everywhere when he dies.” The Lumberjack and The Log has a connection which obviously makes him the person responsible of creating it. As for the elixir cost, Lumberjack is cost efficient. The Rage spell card costs 3 elixirs but with 1 more elixir you can have a Lumberjack with good attack and hit points. Plus, a troop card is always useful to defend or distract enemy troops and to use as a front line of your attacks. Base on the pros and cons above, the Lumberjack is the type of troop who sacrifices himself for the benefit of his allies. His main purpose is to take all the damage and provide a powerful rage spell. If he is not placed well, the cost of the Lumberjack is wasted on the ineffective Rage spell combo. 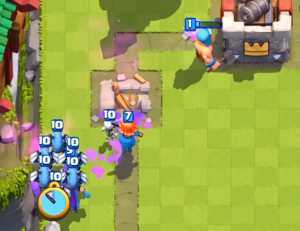 Always place your Lumberjack in front of your attacking line so that the troops behind will get the most out of the Rage spell. The duration of the Rage spell is long and has a lasting effect so it’s really a must to keep your other troops alive. 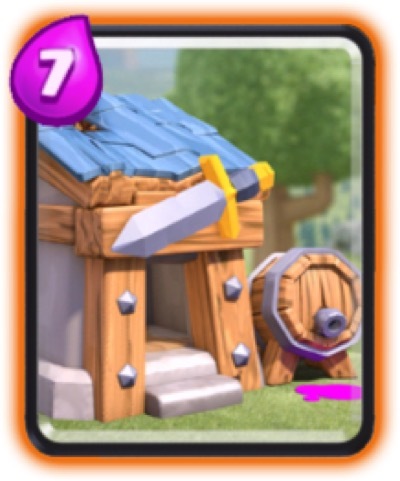 If defending, you can use the Lumberjack near your Tower and buildings for them to benefit from the Rage spell. Minions and Lumberjack is a good combination. 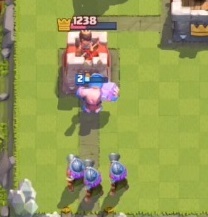 Compared to other low hp troops like Goblins, Spear Goblins, Skeletons and Archers, Minions are flying troops and have slightly higher hp from getting one shot by the Zap Spell. Plus they have strong damage that benefits well with the Rage Spell. This is one of the strongest combo because the Lumberjack will take the damage from the Crown Tower while the Minion Horde goes behind. 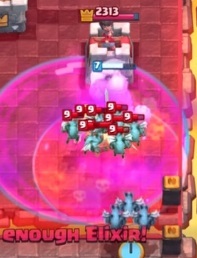 Once they get close to the Crown Tower, the death of the Lumberjack will create a rage spell in the area and the Minion Horde will destroy the tower effortlessly. 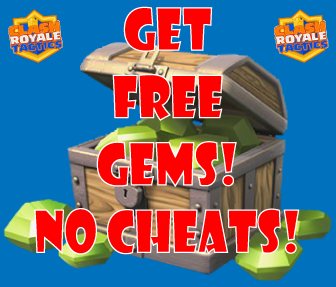 This is a cheap and better alternative than a Giant + Balloon + Rage Spell combination. 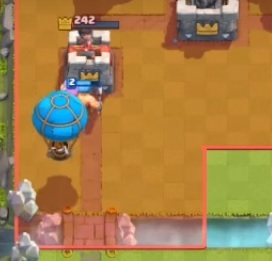 As usual, the Lumberjack should always be in front while the Balloon reaches the Crown Tower. When the Rage spell activates, you’ll see how fast the Balloon can take down the enemy tower. The Witch definitely love that Rage spell because it also boosts her ability to spawn her Skeletons to deal damage, plus her Skeleton will benefit from the speed increase! 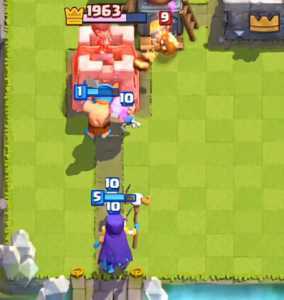 A great combination with this combo is by adding the Miner after the Lumberjack is killed so that the Tower won’t target the Witch immediately. This combination is one of the best I’ve seen. 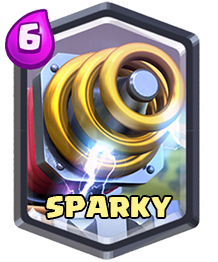 A Giant with a Rage spell is deadly, making the Lumberjack and Giant combination a strong offensive push. Regardless if Lumberjack or Giant goes first, it is a pretty decent push. 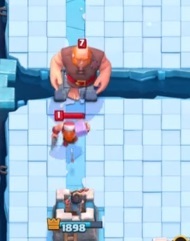 Either the Giant will benefit from the Rage Spell after the Lumberjack dies or the Lumberjack’s attack can hit hard to the enemy tower while the Giant takes the damage. At first, I’ve never thought that this combination will be good since the Three Musketeers is a high risk card because of its high elixir cost and known many counters (ie. Fireball, Lightning and Rocket Spell). But I’ve seen games where this is, I must say, hands down the strongest combination with the Lumberjack. 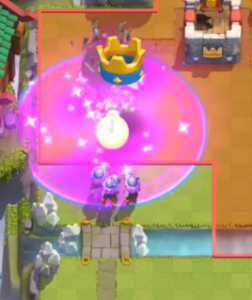 The Lumberjack and the Three Musketeers can destroy the Crown Tower to King’s Tower real fast and get your three crowns. Especially when your opponent plays aggressive at first or doesn’t have a good counter the Three Musketeers, he will be having a very hard time dealing with this combination.